Unless you’ve been hiding under a social media rock this morning, you’ve probably already heard the news nearly every Marvel fan has been wanting to hear for a very long time: our friendly, neighborhood Spider-Man is joining the Marvel Cinematic Universe. Way back when Avengers came out we learned that Marvel had been in talks with Sony Pictures about including the OsCorp tower in the New York City skyline for Avengers. Just that level of cooperation was exciting, though unfortunately that never came to pass. I heard the digital designers for The Amazing Spider-Man didn’t have the tower design ready in time. I’m not sure how true that information is, but I was hoping that even though it didn’t work out, this would open a door for possible collaboration down the road. 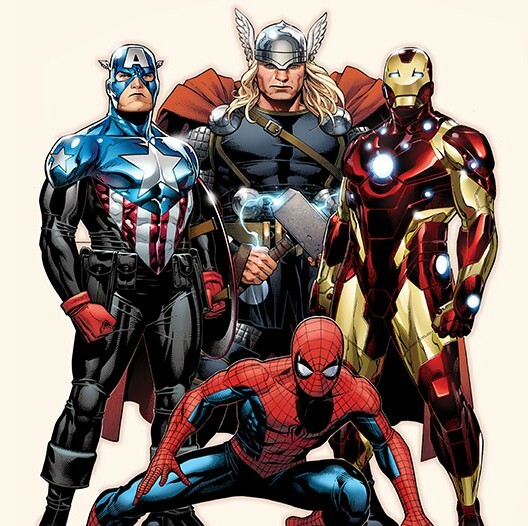 Allowing Spider-Man to participate in the MCU just makes sense. While I was surprised by how much I enjoyed The Amazing Spider-Man, after months of complaining about them rebooting the series less than a decade after the first Spider-Man movie premiered. After finally watching the movie I realized that I liked Andrew Garfield so much better as Peter Parker (no offense to Toby McGuire, but Garfield just felt more natural in that role). However, The Amazing Spider-Man 2 did not live up to it’s predecessor. I felt like the team behind the sequel fell into the same trap as the creators of Spider-Man 3 and tried to do to much at once. I still loved Garfield, and there were some good things about the movie, but over all it just didn’t work. From what I read following the release of the film, it was clear Sony Pictures also recognized something was wrong. After the failure of The Amazing Spider-Man 2, I felt the best possible option for Sony Pictures would be to work with Marvel. I had a feeling they would never be willing to sell back the rights to Spider-Man, but collaboration really seemed in the best interest for both parties. Being able to include Spider-Man in the MCU will only help drive even more fans to theatres to see the next solo Spider-Man film. Allowing Kevin Feige and his team to help produce the movie will also help restore goodwill with the fans who were disappointed with Sony’s most recent attempt. The only downside to this announcement is the fact that Marvel’s announcement implies Garfield will not be returning as the web-slinger. I’m disappointed by this. As I said above, I was originally against a reboot at all, but was won over by Garfield. I enjoyed his performance as Peter Parker and will be sad to see someone else take over the role so soon. Overall I’m extremely excited by this news, and can’t wait to see how Spider-Man fits into the MCU. Now if only someone could get Fox to allow Marvel to use mutants, so they wouldn’t have to make up a back story for Scarlet Witch and Quicksilver.